These days our kitchens are brimming with all manner of equipment and gadgetry so it’s rare to find a piece of kitchen kit that can seriously streamline your everyday cooking. 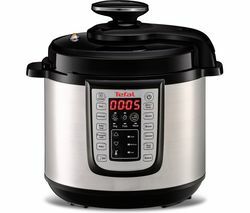 Welcome to the wonderful world of multicookers. 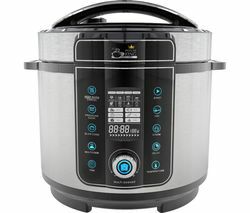 The beauty of the multicooker is that it is designed to cleverly combine an array of handy cooking functions in one neat, space-saving device. Every multicooker in our extensive range is a unique combination of must-have kitchen components – a quick perusal of our collection will reveal an array of functions. Why clutter your kitchen with food processors, steamers and sandwich toasters when a single multicooker can combine all that functionality and more in the ultimate all-in-one kitchen solution? Multicookers can take care of all your cooking needs courtesy of incredible flexible cooking functionality that incorporates searing, slow-cooking, steaming and special cooking processes that will give you the perfect pasta, rice and chips every time. You’ll even be able to whip up a first class Sunday roast with far less fuss than you’re used to. Explore our range and discover the multitasking marvels of the modern multicooker, you’ll wonder how you ever lived without one!